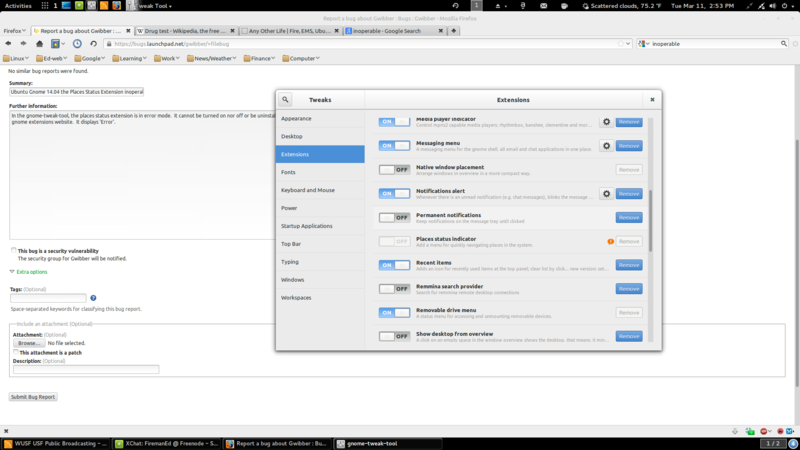 In the gnome-tweak-tool, the places status extension is in error mode. 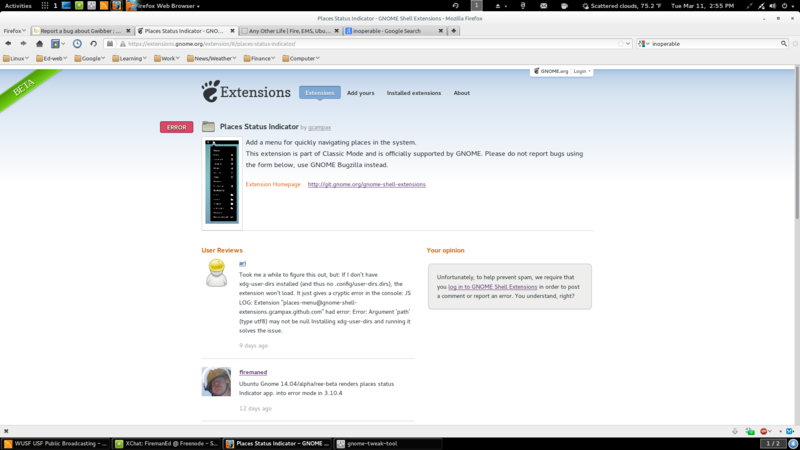 It cannot be turned on nor off or be uninstalled via the gnome extensions website. It displays 'Error'. Would like to run the apport-collect on this bug submitted by me since Bug #1286662 has remained incomplete since 3/1/2014. Confirmed since it's affecting 3 people. Thanks Tim, nice turn around time.